*1 Use of FL-22 is recommended when replacing engine coolant. 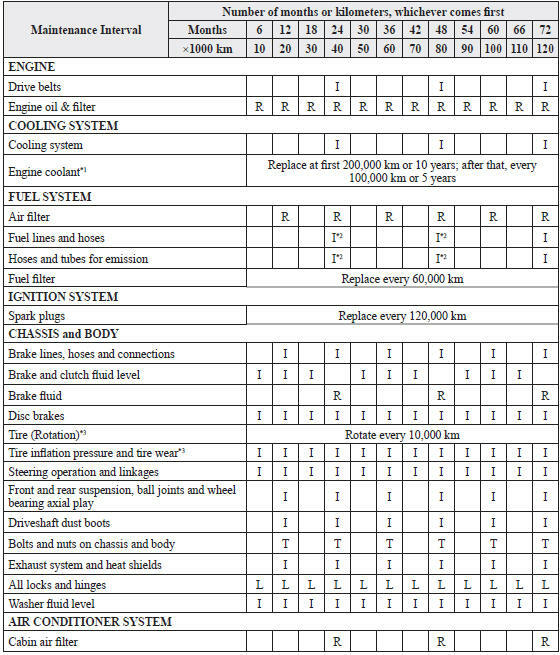 Using engine coolant other than FL-22 may cause serious damage to the engine and cooling system. *3 The Tire Pressure Monitoring System (TPMS) initialization must be performed so that the system operates normally (if equipped).